Raytheon has received a $207.9 million contract to produce Stinger missiles and supporting equipment for foreign military sales to Qatar, India and Italy. The contract covers production for Stinger FIM-92H Block 1 missiles, FIM-92F Block 1 missiles, spares, captive flight trainers, and other training devices. Work is set to be performed at Raytheon's facility in Tucson, Ariz., and is expected to be complete by April 30, 2020. The company received all funding at the time of the contract award. The Army Contracting Command in Restone Arsenal, Ala., is listed as the contracting activity. Raytheon's Stinger Weapon System, designed to provide warfighters with superior air defense, is operated by four U.S. military branches and more than 18 other nations. The Stinger is equipped with a reprogrammable microprocessor for tracking threats. 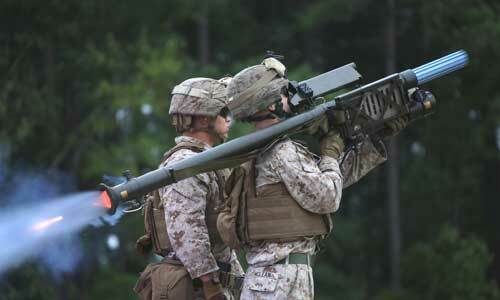 In addition to air defense, the weapon has also been integrated with rotary-wing aircraft for air-to-air engagements.